A Zimbabwe court on Friday handed a four-year jail term to a former energy minister who served in Robert Mugabe’s last cabinet after he was found guilty of corruption, state media reported. He is the first senior Mugabe-era official to be convicted since President Emmerson Mnangagwa took office in November after the military ousted the long-time leader. Undenge was found guilty of awarding a public relations service contract to a company owned by a top ZANU-PF ruling party official, without going to a public tender. The firm was paid $12,000. 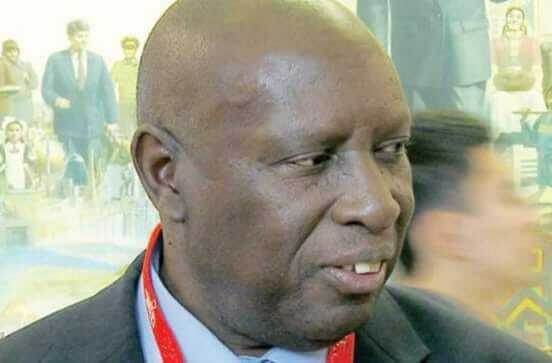 “Undenge has been jailed effective two-and-half years for abuse of public office after he handpicked a public relations company for the Zimbabwe Power Company without going to tender,” the newspaper said. 0 Response to "Former Minister Sentenced To Jail For Corruption (Photo)"